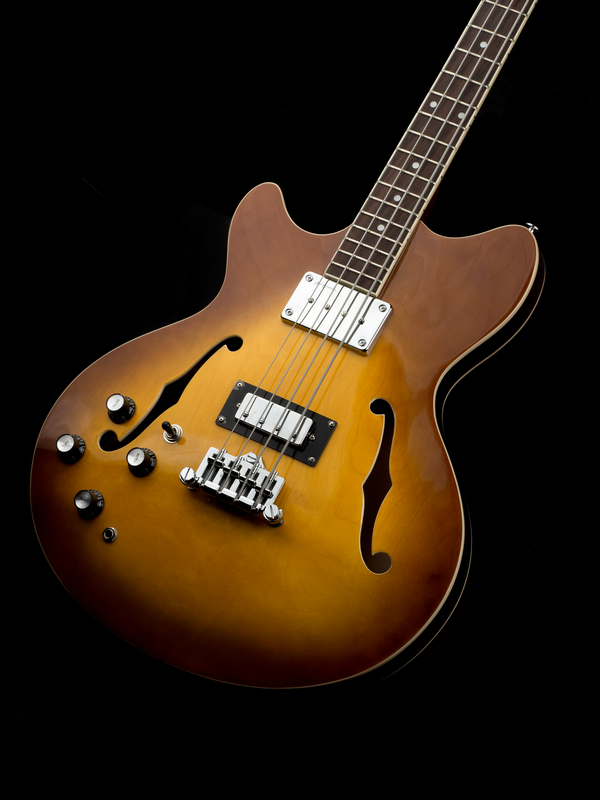 The RBG semi acoustic bass features chrome hardware and a captivating vintage sunburst finish. 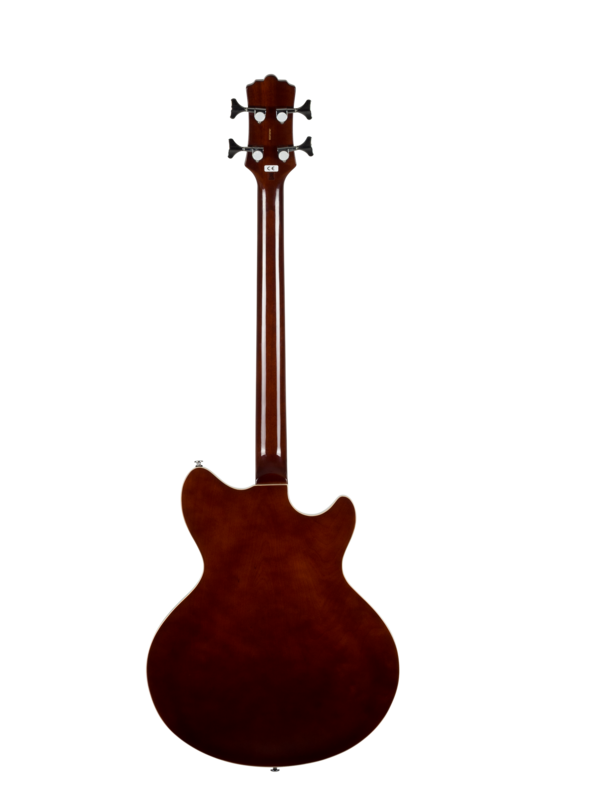 With a mahogany neck, rosewood fingerboard and a basswood body. A retro instrument with a modern twist.